One of President Emmerson Mnangagwa’s sons, Emmerson Junior, and a nephew of his — Tongai — are readying themselves to enter the political fray by running for National Assembly seats at the forthcoming polls. Informed sources told the Daily News on Sunday that Emmerson Jr is preparing to run for the Chirumhanzu-Zibagwe seat — currently held by his mother and First Lady Auxillia Mnangagwa. The seat has become more of a family jewel for the Mnangagwas since it was created prior to 2008 general elections. Auxillia inherited the constituency from her husband in 2015 after he was appointed vice president in the wake of Joice Mujuru’s dismissal from Zanu PF and government on unproven charges of plotting to unseat former president Robert Mugabe. 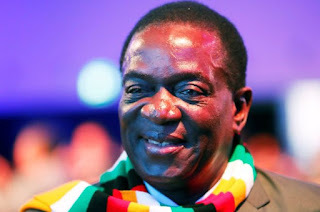 Mnangagwa became the first Member of Parliament for Chirumanzu-Zibagwe — an offshoot of the old Chirumanzu constituency — after winning the 2008 parliamentary vote and proceeded to retain the seat in 2013. After he became vice president in 2014, a by-election won by his wife followed. The first lady had won the Zanu PF primary poll uncontested. Emmerson Jr’s interest in the Chirumhanzu-Zibagwe seat is being interpreted to mean that Auxillia could be weighing her options — torn between focusing on her demanding duties as wife of the president or continuing to play dual roles of being MP and first lady. Relinquishing the seat would contradict her pledge late last year when she told her audience during one of her visits to the constituency that despite the changed circumstances that followed her husband’s ascendancy to power, she will not abandon the constituency. “Please, when I am here I am your MP and one of you. The only time that I become first lady and mother of the nation is when I am away from this constituency. We have gone through difficulties but I will never abandon you. “We are still together despite the changes that happened in the past few days. I am still your MP and I am still your mother. Please, separate me from the president’s business. When I am here, I am your MP and when I am out there, I am the first lady and mother to all,” the first lady was quoted saying in December. Efforts to get a comment from her were fruitless. While Emmerson Jr was not immediately available for comment, sources in the Midlands Province told the Daily News on Sunday that he was already on the ground canvassing for support. “Initially, we thought he was doing it for his mother who is the Member of Parliament for the area but we have since established that the first lady will not be standing so he is actually preparing his own ground,” a senior party official said. “Even the language he uses now shows that he is his own man. His foot soldiers in the constituency now refer to him as honourable. We have even noticed that the first lady no longer visits the constituency as frequently as she used to do”. Emmerson Jr was born on December 20, 1984. He is regarded as the closest child to the president and is often seen at all events close to his father, even during the time when former first lady Grace Mugabe was on a charade attacking Mnangagwa at rallies. Although he is always with his father, Emmerson Jr is averse to prying cameras. He rarely comments in the media and is not on Instagram, Facebook, or Twitter. Emmerson Jr started his degree in Australia 2004, majoring business finance and marketing but was subsequently deported in 2007 due to pressure from the opposition. He managed to complete his studies in 2009 at the University of East London and has had a hand in politics after being voted secretary for information and publicity for the Midlands Zanu PF youth league in 2013. While Emmerson Jr might have it easy in Chirumanzu-Zibagwe, Tongai Mnangagwa faces a stiffer challenge in wresting the Harare South seat left vacant after sitting legislator Shadreck Mashayamombe was recalled from Parliament following his dismissal from Zanu PF. Tongai will have to battle it out with other aspiring lawmakers in the party primary elections to be held anytime soon among them Zimbabwe National Liberation War Veterans Association spokesperson Douglas Mahiya and Leonard Tarwirei, a former soldier, who have so far declared their interest to contest the seat. Tongai confirmed his wish to contest the Harare South Constituency. “I can confirm that I have a desire to represent Harare South constituency in Parliament,” he said curtly before hanging up. Mahiya told the Daily News on Sunday that he was aware of Tongai’s interest in the seat but feels he should be the sole Zanu PF candidate on account of the role he played in Mugabe’s ouster when ZNLWVA mobilised Zimbabweans to come out of their homes in huge numbers and demonstrate against the despot. “I am working in this constituency and I am aware that Tongai is also canvassing for support here using the president’s name,” he said. “I am senior and we did not get what we had hoped for in the party and I decided to come down and work for the people here. It will not be fair to disqualify me again in favour of the young man,” said Mahiya, who is also Zanu PF Harare province’s political commissar. Meanwhile, Tongai got away with a four-month wholly-suspended prison term on condition that he settles his $5 120 maintenance arrears last week. Last year, Tongai, 39, was dragged to court by his ex-wife Shuvai Murumbi — a public relations executive — for failing to pay $5 120 maintenance for their two children. He pleaded guilty to contravening Section 23 of the Maintenance Act when he appeared before Harare magistrate Annia Ndiraya and was ordered to pay $1 500 immediately and settle the balance later. Prosecutor Devoted Nyagano had asked the court to impose a stiffer penalty after Tongai had mentioned that he runs an engineering firm. Tongai had been ordered by the courts on June 9, 2014, to pay $250 per month to Murumbi in child support.